Welcome to ‘Japan by Prefecture‘ – a new weekly series here on Haikugirl’s Japan. I contemplated calling the series ‘Do you ken?’ as a play on words (‘ken’ meaning ‘know’ in Scottish dialect and ‘prefecture’ in Japanese, 県), but I thought that might be a bit confusing. So, I’ve stuck with a nice simple title that will hopefully make sense to all who pass by. 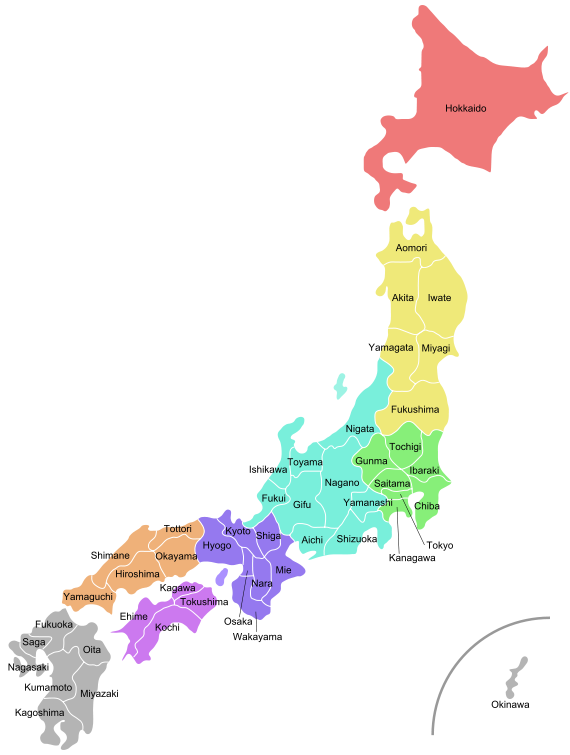 Japan has 47 prefectures, and over the coming year I will be choosing a different prefecture to write about each week. Each week I will be writing about the key features of each prefecture, such as the local food, famous sightseeing spots, festivals and important history related to the area. I’ve only been to 22 of the 47 prefectures (Hokkaido, Iwate, Miyagi, Yamagata, Ibaraki, Tochigi, Chiba, Tokyo, Kanagawa, Toyama, Ishikawa, Yamanashi, Nagano, Gifu, Shizuoka, Aichi, Kyoto, Osaka, Hyogo, Nara, Wakayama and Hiroshima), so I will be relying on you, dear reader, to help me fill in the gaps! At the end of each post I will tell you what’s coming up next, and ask you to leave your comments and suggestions for the following week’s post. It would be really great if you all joined in, and I hope to hear from lots of new people too! Perhaps you have been to a particular prefecture and experienced something really interesting, or maybe you lived there or are from there. If I use something you suggested in the next post you’ll get a mention of course! 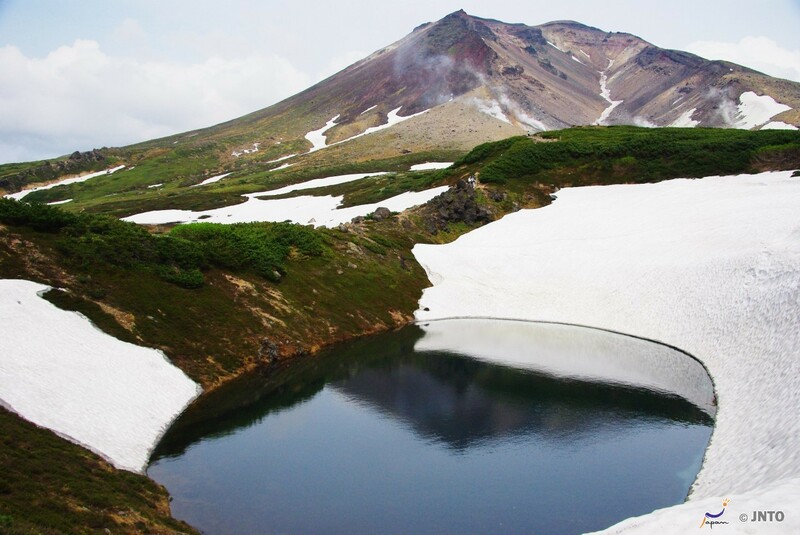 So, next week I will be writing about Hokkaido (北海道). Have you been there? What’s good to eat there? What are the best sightseeing spots or hidden gems? Please do share your thoughts below, and join me next week for Japan by Prefecture! I did something similar on my blog, but never finished. It was a lot of work doing the research! I got stuck on Niigata before taking a “break.” Haven’t been back to it since. I’m very interested in reading it. I’ll have plenty to contribute for Kanagawa and Tokyo, I think. I visit Japan quite a lot but I’ve never been to Hokkaido for one reason: it seems too much like Canada. I don’t fly 14 hours to see stuff that is in my own backyard as it were. Snowy winters, grain fields, cow farms, impressive natural scenery, beautiful coastlines, etc. I will be interested to see your upcoming article. Cheers. Thanks! I envy your travel experiences! I hope you’ll join in with lots of suggestions as the year goes on! (*^_^)v Any thoughts on Hokkaido? Looking forward to this series! I really like the name “Do you ken?” but this title is easier to understand at first glance. Looking forward to the new series, sounds like a great idea! Hehe, I thought it would confuse everyone if I used that title!